Driving innovation is a key job for top management, the CEO and the C-Suite. The ability to innovate and create value for the business is becoming the defining competitive advantage for companies which want to thrive in a globalized economy. The days when innovation was the preserve of R&D have gone. Successful companies recognise that innovation is now very much a mainstream activity. It brings together internal teams, your business customers, and a range of different partners from beyond the organisation. Essentially, at the heart of these developments is the realisation that how you innovate determines what innovations you deliver. But dealing with this ‘how’ question is one of the biggest challenges companies face. How to create a culture and environment of intrapreneurship? How to welcome creativity and allow room for experimentation and learning from failure? How to develop a willingness towards open innovation and collaborate? How to be ready to challenge the accepted business norms and facilitate some chaos? 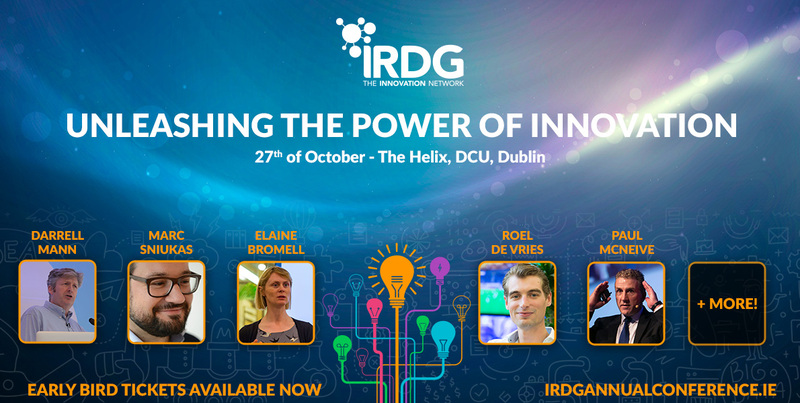 To help you see how others are meeting this challenge, IRDG has put together a team of insightful speakers from Ireland and overseas for a unique event in Dublin on 27th October. The speakers will share with you examples and stories of how they and others are unleashing the potential of their businesses by creating a culture that supports and embraces innovation. 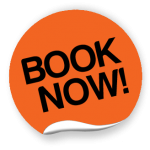 ‘Unleashing the Power of Innovation‘ will be a day full of inspiration and ideas you can apply to your business. It will be extremely valuable for CEOs, Executives and Leaders in all functions who are responsible for Business Growth, Innovation, Culture and People. Remember, the future belongs to those who challenge the present!